When you are dealing with Cancer, do you think is wise to spend time on redeeming cancer cells to make them good cells again? Once the cell goes rogue (cancerous) wisdom and experience say the cell should be eliminated from the body. How many redundant studies does it take to make it perfectly clear that cancer kills the human body? 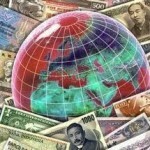 Why should we keep the Central Bank banking system? It kills human societies. The Central Banking System is cancerous to mankind. It was designed to be that way. It is foolish to think that the heads of this cancerous enemy of the people are not the ones pulling the strings to kill us. Just because you make friends with your bank manager and enjoy being served by the pretty teller, the head of that bank is the devil-in-the-suit that is trying to kill you and everything you stand for. Pretend “it ain’t so” if you must but putting your head in the sand is a slow death that will eventually include your whole body. Banks be damned, I say. That’s a pretty gruesome thought you think about my bank manager but is it really true? Does the hand or the foot know consciously what the head is thinking or doing as it manipulates your body? They only respond to the commands filtered down through the nervous system. Banks are the same way. The evilness of the head of the Central Banking System is about to be uncovered and known for what it has been doing to society. A lot of bad stuff happened in the dark while you were sleeping. 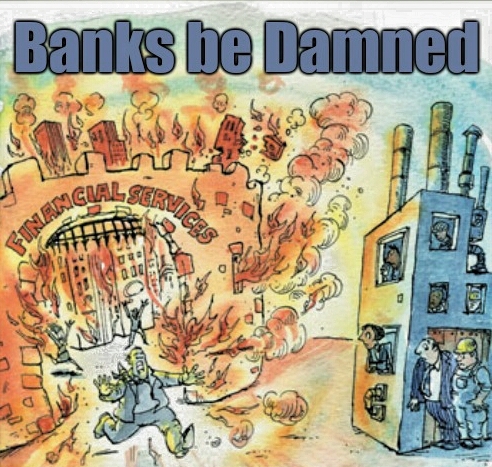 So, Ron Giles, why are you going off on the banks? Just because they deal in debt-based fiat currency, why are they the bad guys? And why are you bringing this up at this point in time? The Shills assigned to IDC are pushing the narrative that banks will be involved with the RV. They won’t. The Shills want us to go to the bank and ask the manager if he knows about the RV/GCR and then comes back and post that the banks don’t know anything about the RV/GCR. Why? Does this create doubt? The Shills want you to believe that the banks will be the ones we must bow and cow-tow to, to get the higher exchange rates. You have been conditioned to believe in the bankers as benevolent individuals, here to serve our needs. Not so. Bankers, with their arm around your shoulders, as they take your check to the teller, receive your deposit while knowing that your deposit is now their money. Did I feel the prick of the knife going in my back? How many gurus talk about the banks as a source of information? They say this banker said this and that banker said that as if we are supposed to believe them. We shouldn’t. Our present team gurus, pass on, in-u-endos (pun intended), rumors, unverified tidbits of information, and give us false information or disinformation and never explain why their prognostications were wrong. The drip method of disinformation goes on and on, and we just sit back and take it without holding them responsible for their fake news. Doesn’t this sound like the fake news narrative of the MSM; say something in the headlines as if it is true and when it is found to false, they put their disclaimer in the comic section a few days later? How many years ago were we given that paymasters in Reno have received their money and we will begin the exchanges this weekend? How many times have we been told that the Reno airport is full of private jets flown in by currency holders? How many years ago were we told that tiers 1-3 have been exchanged and we are next? Then they added tiers 4A and 4B. How many times have we been told that so and so VIP has redeemed and his funds will be liquid on Monday, May 2017? And the latest…it has been rumored that certain countries have already redeemed. BS! Dates and reports of release have all been, lies. Why publish them and why believe in the gurus that create them? Is that not insanity? If a false prophet gets it right one time, does that cancel all the lies from before? I don’t think so, Tim. There are truths or axioms, that are salient to our moving forward. Here’s the Biggy: NO ONE HAS EXCHANGED OR REDEEMED, EVEN WITH SKRs; ALL GO OR NO ONE GOES. When the RV happens, we will all be given notice through Authorized Channels, not from some guru. No future target dates for RV will be given except from some faux guru. We will be surprised and happy with no forewarning when it happens. NO redemptions or exchanges will be completed unless the QFS has been activated, therefore NO QFS activation, NO EXCHANGES have taken place. If you tell me someone has exchanged, the next word out of your mouth better be: the QFS is now active. Rolling exchanges are a myth. “Exchanges began in Hong Kong and are moving toward the US” – 6 months ago? Obvious lie. Your redemption appointment will have information on how to access your money in the QFS. Exchanges and Redemptions will be in gold-backed currencies only and associated with the QFS. No bank within the Central Bank System will be doing exchanges or redemptions on their own, they cannot deal in gold-backed, QFS currencies. They only deal in fiat currency. There will only be authorized Agents of HSBC used for the redemption. To exchange at a bank, that bank must have an authorized connection to the QFS to deposit your funds in your own personal QFS account. Without that authority they are frauds. 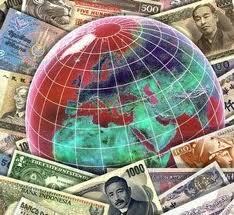 Ask your Banker if he/she has purchased foreign currencies for his own profits. If he/she hasn’t don’t believe them. The bank will take your foreign currency in exchange, but you will never see a dime of exchanged money in your bank account. Exchange Fiat for Fiat? No QFS? Stupid! Banks be damned! Geopolitical information only gives ancillary information that may or may not have significance to the timing of the RV. We are at war with the Cabal, real information is given on a need-to-know basis for those who are in the trenches. Give up your expectations as to when it is our turn to be activated. When it is our turn we will be notified through authorized channels and not through some guru, Con Call, important-wanna-be. When traveling in your car, don’t turn the steering wheel until you reach the curve, if you do you, say hello to the ditch. Timing is everything. Get used to not knowing and let it be OK. Do not pretend that the Alliance or the NPTB are working against us having the money. That is foolishness. It is fruitless to ask them to hurry up because children are dying without our help. If the NPTB can chalk us, and they can, do you think for one second that they are not painfully, fully aware of everything bad that is happening? Would you have them release us on the battlefield if the enemy is waiting to kill us and take the money? They do not want us to take a bullet for the Gipper. They need us alive. It’s hard to do our thing if we are dead. The wise use their heads and become aware of the fallacies of using emotions as a motivation to do something before it is time. This GESARA/NESARA process, this pivotal juncture in the history of mankind, needs to be done with military precision. Anything less means disaster. We are in God inspired hands so let them do their work. I believe we are on pause until Brexit, then the countdown continues. Much is at stake before then. Be patient, pilgrim, our time and day will come but it’s not here yet. BTW, how are your humanitarian plans coming along?